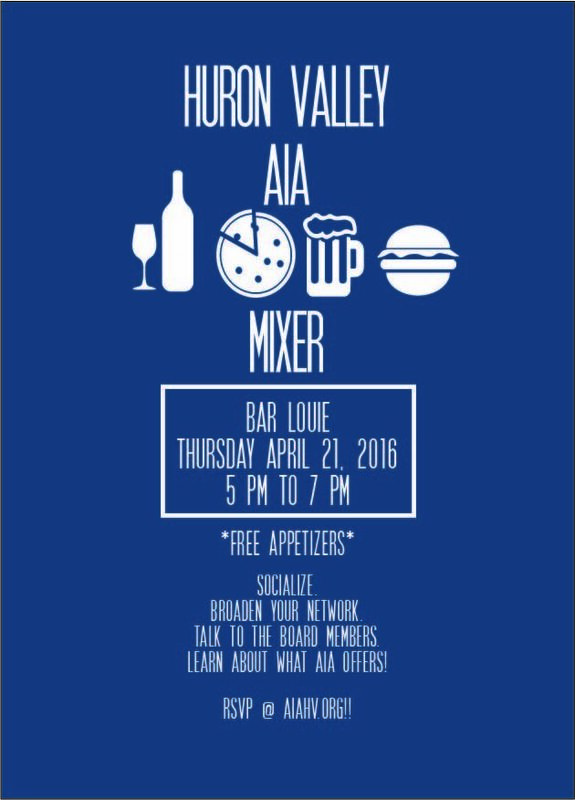 Please come join together at Bar Louie Ann Arbor on Thursday April 21 @ 5pm-7pm for our AIA Huron Valley Mixer! This is open to members and non-members. Come socialize and network among peers! If you're not a member, come talk to some of the board members and see what AIA has to offer!